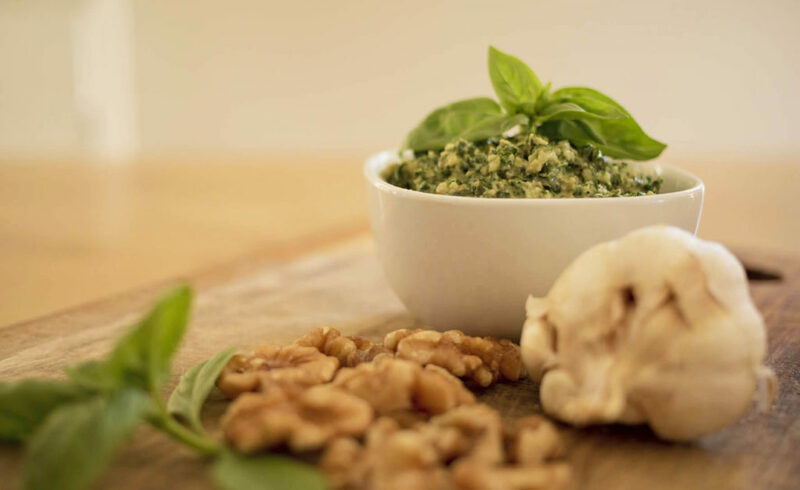 Kale, Basil and Walnut Vegan Pesto – This delicious dairy free pesto makes a tasty and nutritious spread or dip and is a great way to get some more greens into the kids. Perfect as a snack to have on crackers, spread on toast, or to add to other meals such as pasta. If we are short on veggies in the fridge and looking for a quick meal that I can whip up in a couple of minutes, then one of my go to options is whisking a couple of eggs to make an omelette and adding a couple of tablespoons of pesto to add flavour and get some greens in there. I made this when Master H had a cold and was being picky with his veggies and I felt his immune system needed a boost. 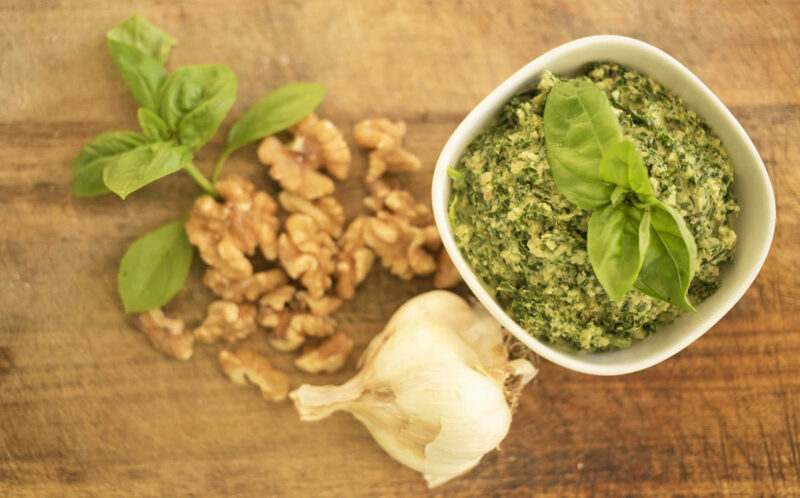 It’s always a bit tricky to add raw garlic to food you are making for kids but more often than not they don’t seem to notice when it is added to pesto or hidden in other dips. What many people don’t realise is that garlic actually does ideally need to be eaten raw and crushed for its immune boosting properties to do their job. Crushing garlic releases an enzyme, called alliinase, that causes the formation of allicin. However, the heat from cooking can inactivate alliinase. According to research on garlic preparation methods, it only takes 60 seconds of microwaving whole cloves to lessen some of garlic’s health benefits. So to all those folks cooking away with their garlic thinking they are giving their immune system a boost, sorry to dampen your spirits (I don’t blame you I used to think this myself – it is a common misconception) unfortunately our old fave garlic does need to be consumed raw and crushed for maximum health benefits. Alternatively if using garlic to cook with, crush it first, leave it to stand for 10 minutes and add it to the dish toward the end of the cooking time. This has been found to allow time for alliinase to work before heat inactivates it. Basil – An excellent source of vitamin K and manganese, a good source of vitamin A which is great for the immune system, and in addition contains vitamin c, calcium, iron, folate and magnesium. Kale – Anti-inflammatory, excellent source of vitamin K, vitamins A and C and contains antioxidants, omega 3 and 6 essential fatty acids and iron and calcium. 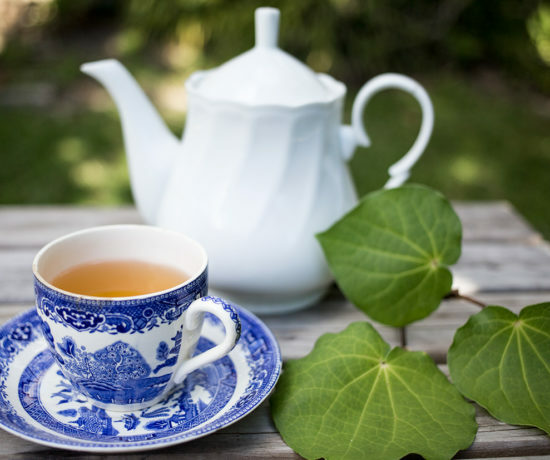 Lemon – Alkalising for the body which is important when there is an infection occurring, a good source of vitamin C and potassium, magnesium and copper. Walnuts – A good source of protein and heart healthy fats, contains neuroprotective compounds such as vitamin E, omega3 fats, folate and antioxidants. I love to add this pesto to my Extra Crunchy Chia & Flaxseed Crackers topped with some avocado and tomato. This makes a healthy nutrient rich filling snack that is pretty darn tasty! 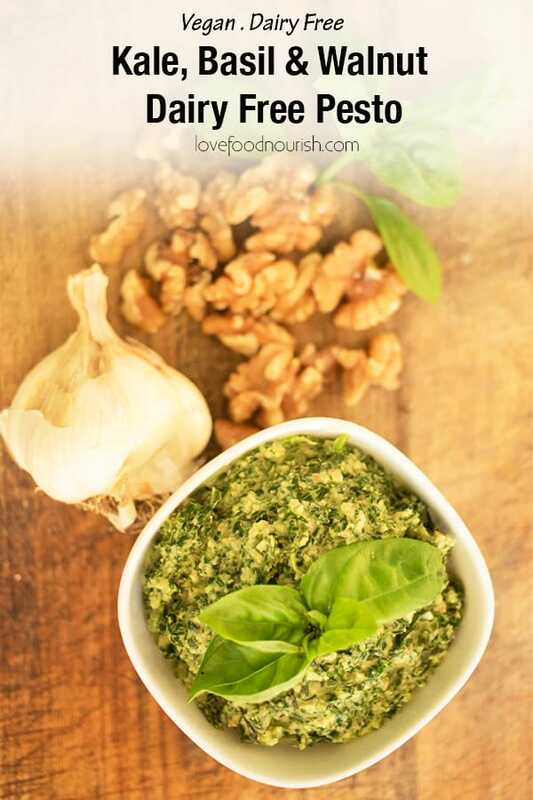 A tasty and nutritious pesto, quick and easy to make, perfect as a snack, spread or to add to other meals. Add all ingredients to food processor and pulse until fine. Adjust seasoning if necessary with more salt and pepper. Pesto can be frozen in ice cube trays and pop out individual serves and defrost as needed or store frozen pesto cubes in an airtight freezer bag in freezer. November 4, 2018 at 10:46 pm How good is this !! Pesto, like hummus, is one of the easiest things to whip up at home so why buy boring commercial products? I used parsley over basil in this because it's what I had on hand. It's fresh and zesty and I'm looking forward to it on toast with a poached egg. November 6, 2018 at 2:42 pm Hi Leonie - Thanks! Yes my thoughts exactly! You can put so much extra goodness into homemade versions and avoid additives or what you don't like :) Great, I bet parsley will give it a lovely freshness and will be perfect with a poached egg!